ARE YOU LOOKING FOR A SHORT-TERM CNA PROGRAM THAT IS AFFORDABLE? WITH OUR CNA PROGRAMS, YOU CAN GET YOUR CNA LICENSE IN JUST 29 DAYS! We offer comprehensive 22, 29 and 44 Day CNA programs. Our students graduate with the skills and knowledge necessary to obtain a rewarding career in the healthcare field. If you are interested in becoming a Certified Nurse Assistant WMTC can help you. We offer a comprehensive training program that will prepare you for your California State certification exam and employment as a nursing assistant in Long-Term Care Facilities, Acute Care, and Home Care settings. In just 6 to 12 weeks depending on the schedule chosen, the educational team at Western Medical Training Center can get you ready to become a cna. Our fast-paced program includes 60 hours of theory, 10 hours of lab and 104 hours of clinical work scheduled at local nursing facilities. Students must complete the required hours and maintain a 75% or greater in theory to pass the program. A nursing assistant, also known as a CNA (Certified Nursing Assistant), are individuals responsible for the general care for patients at a variety of different locations, including Hospitals, personal homes, Assisted Living Homes, Nursing Homes, Adult Day Care Centers and Hospice Registry’s. The duties of a CNA will vary depending on the patient, but some general responsibilities include recording patient’s vital signs (i.e. heart rate and blood pressure), helping them in and out of bed, and assisting with feeding and personal hygiene. A nursing assistant may also help doctors and nurses during medical procedures. What is the Emphasis of the CNA Program? The CNA program at Western Medical Training Center emphasizes safety principles, infection control, and methods for providing physical care as well as emotional and social support to patients. At Western Medical Training Center we pride ourselves on only offering the highest level of instruction and care for our students. We have had the honor of educating our community since 2010. This level of excellence has led to the Nursing Assistant Training Program at Western Medical Training Center receiving an approval from the California Department of Public Health (CDPH). Upon successful completion of the course, students will be eligible for the State of California Nursing Assistant Certification Examination. The California Nursing Assistant Certification Exam consists of two sections, a written exam and a clinical skills test. You need to pass both sections with scores over 70% in order to earn CNA certification. BECOME A CNA IN SAN DIEGO TODAY! Please note the State application for certification requires fingerprinting and a background check. Applicants who have been convicted of a criminal offense may not be eligible for certification. PLEASE CONTACT US SO WE CAN ASSIST YOU IN A BACKGROUND CLEARANCE BEFORE YOU SIGN UP FOR A COURSE. Western Medical Training Center is a private school with exemption status through the Department of Consumer Affairs Bureau for Private and Postsecondary Education (BPPE). 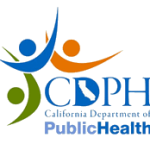 Western Medical Training Center’s programs are approved by the State of California Department of Public Health (CDPH) Licensing and Certification Program, Aide and Technician Certification Section (ATCS) & Board of Registered Nursing. How are you able to offer shorter programs and less tuition cost than other schools with similar programs? It’s simple, our students are motivated learners and our fast-paced program can be accomplished with hard work. Students pay for our program, then, they show up prepared and ready to learn. Western Medical Training Center invests most its training on job skills. Our program is designed to train job skills and not much time on life skills such as time management and attendance. Although many of our students are currently in a degree program or are pursuing our training to prepare for an advanced professional degree, we also have had several students come out of high school and perform well upon completion of the program. Western Medical Training Center students must take their training seriously by being prepared and attending class sessions every day and on time. Every student must be able to demonstrate and perform all competencies and this can be achieved through preparation and practical training in our lab while being guided by skilled professionals. No students are left behind. If students need refresher training or more support, they are always welcomed to sit in on other class schedules or come and practice skills anytime within business hours. Longer programs must train for a minimum number of hours which equal approximately 8 – 9 months in length to have access to government financial aid programs. Longer programs are also geared towards teaching “life” skills. Longer programs help ensure these students are learning the basic functions of working at a job such as, time management, showing up to work on time, professional dress, use of proper language, etc. These habits take longer than 12 weeks to develop. Employers ultimately care about Certified Nursing Assistants, EKG Technicians and Pharmacy Technicians, being proficient, reliable, customer service oriented, and ability to perform core competencies regardless of the length of the program. Our employers have been pleased with our graduates and in turn they hire many of our students contingent on them passing their state exam. How are we able to charge less tuition than other schools? Western Medical Training Center’s training delivers all the skills and knowledge necessary in 12 weeks or less. With committed students they can achieve the skills necessary for employment and don’t require extra staff and time to teach basic life skills. Since we are not seeking government aid, we do not require 8 – 9 months of training. We require less staff and hours on training basic life skills and invest the majority of our team’s efforts on career skills. We also occupy very little space for offices. With these efficiencies we’re able to pass savings on to our students.